The cost of kitting out cinemas for the digital age may force hundreds of cinemas up and down the country to close, says the UK Film Council. Up to 300 cinemas may end up closing due to the up-front fees that are needed for the new technology. Switching from celluloid film to digital screening will cost more around £50 million for 'vulnerable' cinemas. Speaking to the Times, Peter Buckingham, head of distribution and exhibition at the UK Film Council, said about the switchover: "300 are in serious danger of closing because they won't be able to afford digital, and if they haven't got digital they aren't going to have anything to show in five years' time." Once the cinemas have been transformed, the actual costs of showing movies should go down significantly. This is because, unlike 35mm film which endures transport and reproduction costs, Digital movies are easier to transport and eventually will be sent over the internet. "Digital technology offers huge possibilities for cinemas and cinema goers. Once the upfront cost of equipment is met the range of films that cinemas are then able to show is greatly increased. This has got to be good news for the film industry and cinema goers. 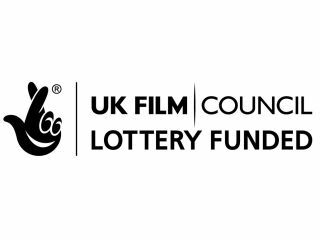 "The UK Film Council has kick-started the process, funding 210 cinemas across the UK to go digital. However, there is a risk of some cinemas getting left behind in the transition. "However we cannot, and should not, prop up the whole of the industry. It is in everyone's interest to make this work and that will only happen if we take a consensual approach." The UK Film Council began the digitalisation process with its Digital Screen network back in 2006, which funded 240 digital screens in 210 cinemas.